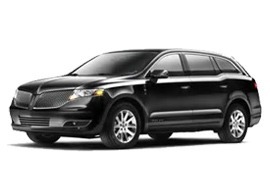 Twin Cities Car Service offers luxury limo transportation in New Brighton, Minnesota for business travelers and leisure visitors travelling across Minnesota. We also specialize in local citizens wishing to celebrate special occasions in style or need a reliable New Brighton car service to local destinations. New Brighton is a charming city nestled among several beautiful parks in Ramsey County, Minnesota. New Brighton, a suburb of the Twin Cities is located 10 miles north of downtown Minneapolis at the intersection of Interstate Highways 35W and 694. New Brighton offers various leisure activities form golf courses to top rated restaurants and its surrounding parks and lakes are fantastic for weekend holidays and vacations. Twin Cities Car Service offers luxury limousine transport from New Brighton to Saint Paul International Airport, St Paul Downtown Airport, and other airports in Minneapolis Metropolitan area. Since we specialize in airport transfer service we possess excellent local knowledge of Minneapolis, surrounding cities and airports. Our exemplary safety and reliability record of have made Twin Cities Car service the preferred choice for airport transfer from all major airports in Minnesota. Our fleet consists of latest models of luxurious, spacious, clean, smoke-free, air-conditioned vehicles that can accommodate up to 12 people in utmost comfort. Choose from luxury town cars, an SUV, airport van, stretch limo or a stretch Hummer and let your New Brighton car service journey be a real pleasure. While staying or passing through New Brighton, treat yourself with a superb limo service and take a tour of the cities beautiful parks or nearby golf courses. Whether you’re on your way to a wedding, concert, sporting event or heading to the airport you can relax while we make sure you meet your schedule. Twin Cities Car service will accommodate all your New Brighton car service needs and preferences regarding transportation.